BizSight 365, is the software for small business with big dreams. This is our core, full-featured product. Perform essential business tasks like invoicing, paying your suppliers, accounting, bank reconciliation, simple CRM, accepting credit cards from your customers using PayPal, creating purchase orders and receiving against them, etc... It includes the ability to tag and track your customer email interactions similar to a CRM system – all within BizSight 365! 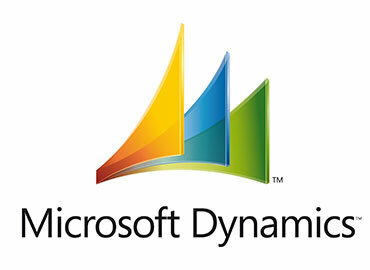 This will provide you with a complete end-to-end software solution to manage your small business. It is perfect for any kind of business-service or product focused. Whether you are a business that has several users or just a single user on a stand-alone computer, BizSight 365 can help. The invoicing process is simple and intuitive to use with the customer’s purchase history at your fingertips it! Seamlessly integrate with your banking side and have all the necessary information to file your Sales, VAT, GST taxes. Enhance your customer relationships and customer service with this new notes tracking! 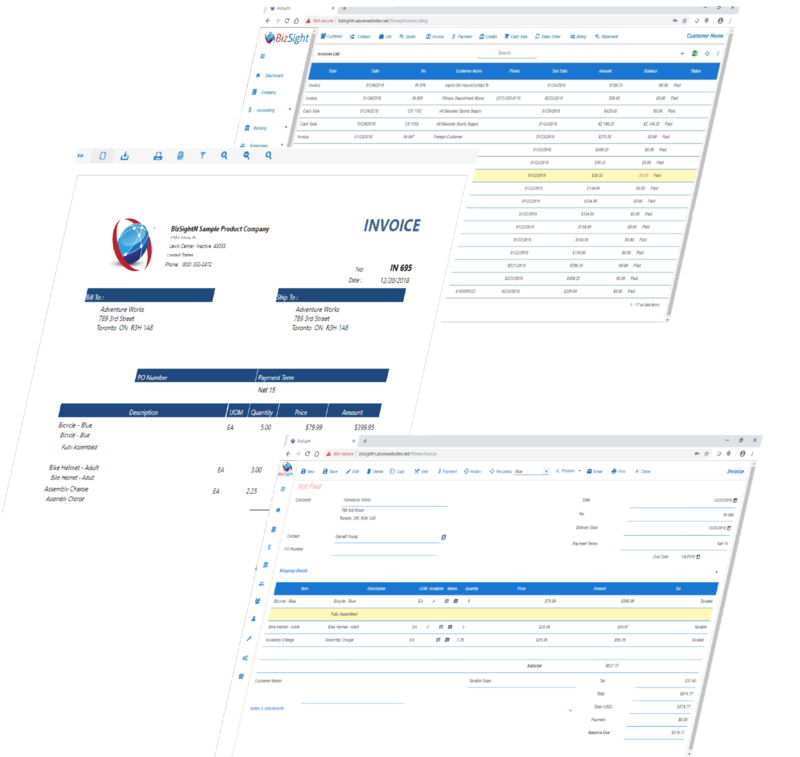 Our professional looking invoice forms, Quotes, Purchase Order and other templates provide you with multiple layout options. Include your company logo to print on these layouts. 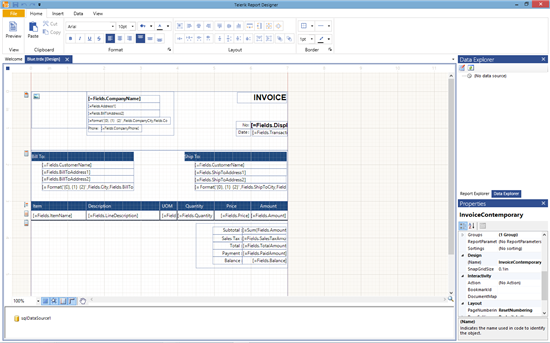 BizSight 365 comes with a redistributable graphical user-friendly tool, that allows you to customize the layouts. 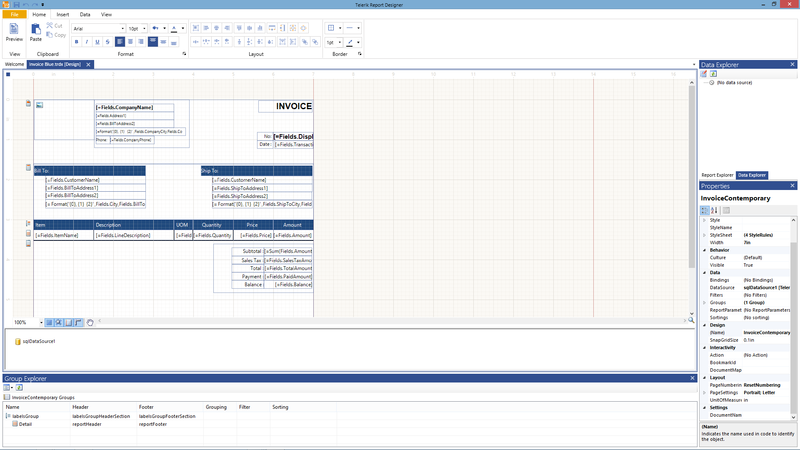 Record your vendor bills and track your expenses. 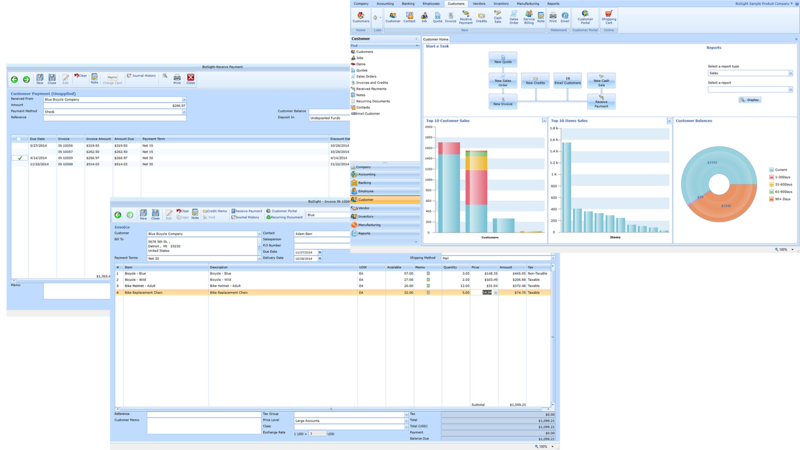 BizSight 365 allows you to track these at the item level or at just the accounting level. Industry standard check layouts are used for printing checks. 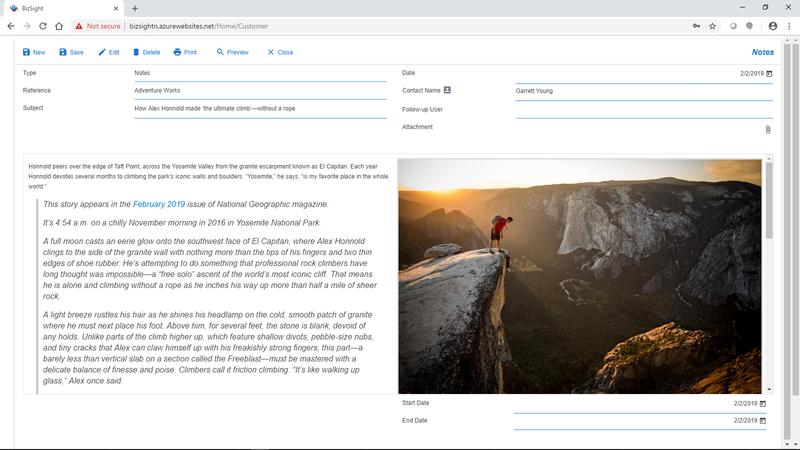 These layouts can be further customized using our report designer to fit your needs! 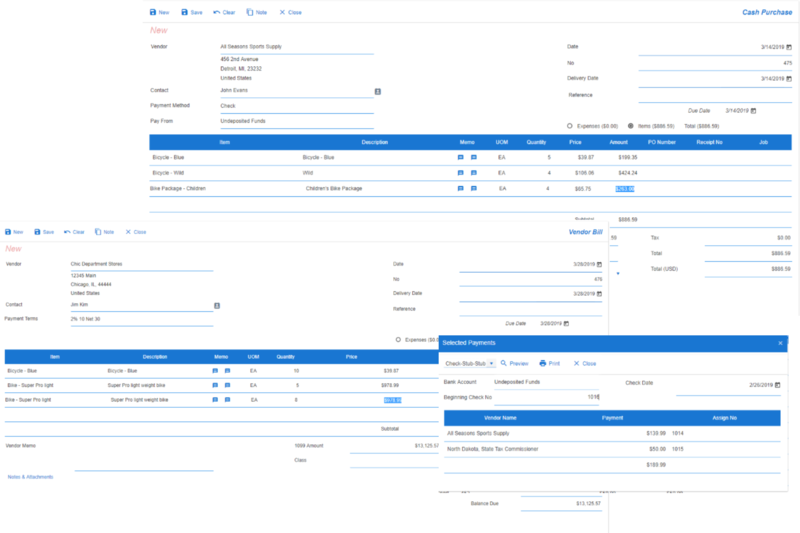 If you need to generate a purchase order to buy widgets or services in your business, BizSight 365 can create these for you! Several customizable purchase order layouts are available to suit you needs! BizSight does not stop with just financial accounting, if maintaining and managing your inventory is important to your business, BizSight provides you with the tools for inventory control, accuracy, and costing. If you are dealing with widgets, your daily transactions like invoicing, and purchase receipts interact with inventory in real time. Maintain ABC codes, count your inventory, adjust them if you need to and keep it accurate! If your small business reaches exponential growth, we will be happy for you! If the growth takes you to be a medium business or even a larger business, no worries, you can grow with us. We will provide you with a path to Microsoft Dynamics 365 - Business Central. 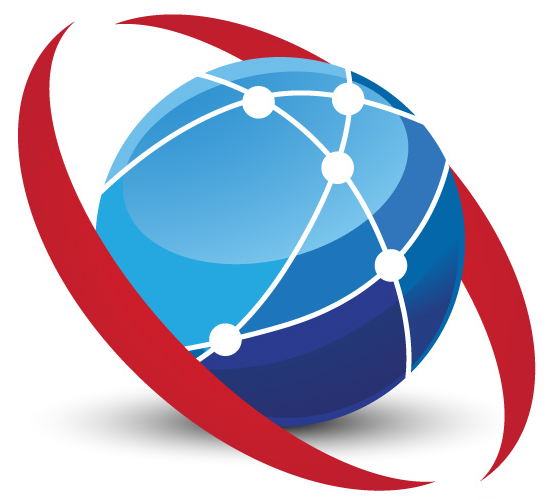 We are committed to providing you with a migration utility that will migrate the key master files (i.e.) Chart of Accounts, Customers, Vendors, and Items from BizSight to Microsoft Dynamics 365 - Business Central. This migration utility is on our roadmap!